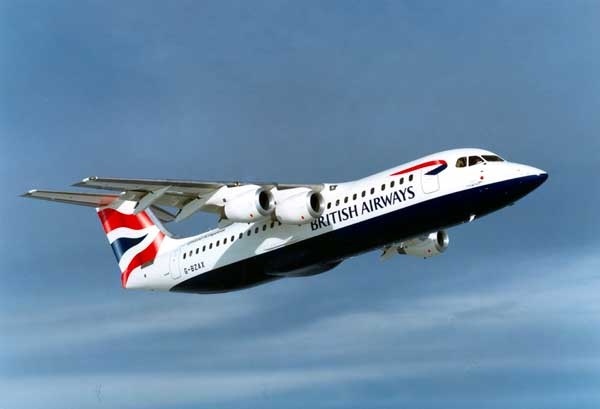 The Avro RJ RJ70, RJ85, and RJ100 are modernized / improved versions of the original British Aerospace 146 (also BAe 146). The aircraft were produced until 2002. It has four turbofan engines mounted on pylons underneath the wings, and can offer wide usage at small city-based airports such as London City Airport. In its primary role it serves as a regional jet, short-haul airliner or regional airliner. The freight-carrying version carries the designation "QT" (Quiet Trader), and a convertible passenger-or-freight model is designated as "QC" (Quick Change).